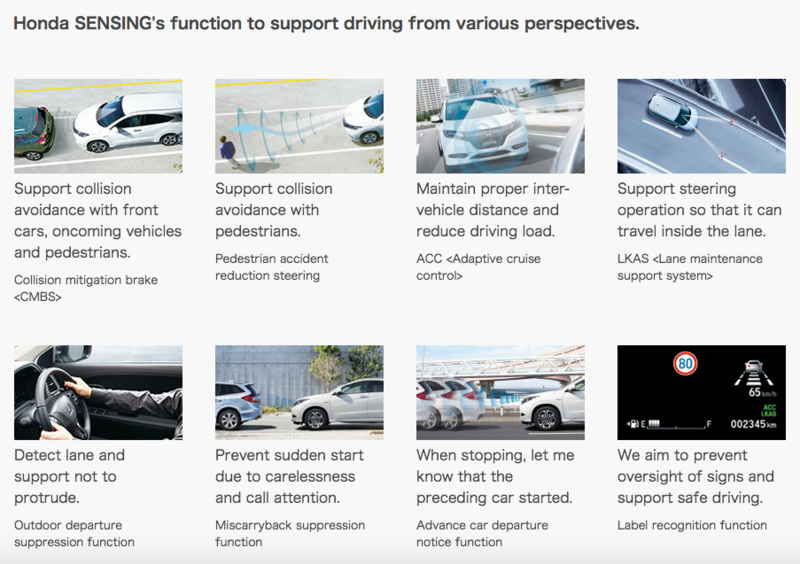 Since I am unable to find User Manual in English, Specific to Honda Vezel Hybrid Sensing 2016-17, can anyone help on this to find me a more relevant document as some available on internet does not address its additional features. Please clear my queries within a few days. can some one help in getting vezel software in english? With so many Vezels now roaming on the roads of Pakistan especially Karachi and Lahore one has yet to come across a Service outlet/workshop which can efficiently handle routine maintenance.Atleast I being in Karachi haven't found one.Honda dealerships are out because they only have scary comments on the vehicle which is so popular whereever its been exported to.However I would still appreciate if any PakWheeler can recommend a Service/Maintanance outlet in Karachi which is reliable and knowledgeble about this lovely machine. Appreciate your reply.I do understand there won't be dedicated workshops for JDMs.However there are well equipped private setups which do handle all cars from Mercedes/BMWs/Audis and Japanese high end cars.Issue now is with these JDMs which have highly sofisticated electronic systems which can only be put right through specific computer software.I was just wondering if any of these private set-ups have acquired equipment to carry out a proper diagonistic and alleviate such issues of these cars including Vezel in Karachi.Generally experience is lot of hit and trial methods are employed and I have noticed people describing their problems on these forums. anyone know how to remove the honda vezel steering wheel bezel/trim (lower garnesh) ? 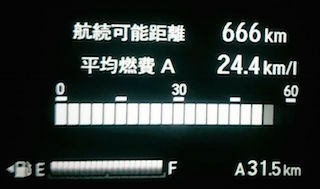 A1: You can verify production date on its Seat Belt Label stitched at lower base of Seat Belt. A2: Anyone who has access to auction database, usually car dealers have their active accounts and they can do it, since it is a paid service with some security deposit, therefore you will have to ask someone. A3: Even if it is 2 KM driven you should always inspect Imported Car as it could get damaged while transportation, but verified auction sheets will tell you car condition at the time of auction, usually these are pretty trustworthy. FF Comes with Model / Chassis # Initials like "DAA-RU1"
AWD is a 4 wheel Drive Version & it comes with Model "DAA-RU2"
FF Comes with Model / Chassis # Initials like "DAA-RU3"
AWD is a 4 wheel Drive Version & it comes with Model "DAA-RU4"
Now comes to SENSING, unfortunately mostly dealers here don't even know the exact features and usability of Honda Sensing, therefore they don't recommend it, in my earlier post #924 I have explained in detail about Honda Sensing, please have a look at that. It is a worth spending to opt. 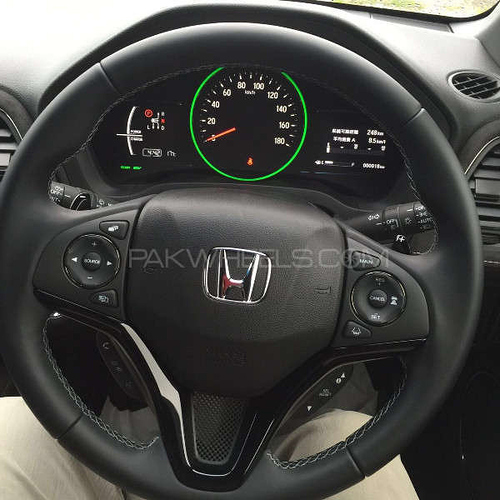 A6: Honda Vezel 2015 Hybriz Z Honda Sensing with 8,000 Km driven and un-registered should be somewhere around 3.2 - 3.4 million rupees. hi dr. I have got vezel 2014. I think its x having additional features. can u add me in wotsapp group so that I can have updates from the forum? Oh that's good @asadi13 , I didn't know about. Would you mind adding me in that group, so that I can keep myself updated about Vezel. Pardon my ignorance.PM(personal message??) on which address or phone no.